Forget expensive diet programs. The secret to maintaining a healthy weight may be… plain water. A new study suggests that by increasing plain water consumption, you can control your weight. Not only that, but water can also help you reduce your intake of sugar, sodium and saturated fat. Published in the Journal of Human Nutrition and Dietetics, the study examined the link between plain water consumption and weight. Plain water was defined as water from a tap, cooler, drinking fountain or bottle. 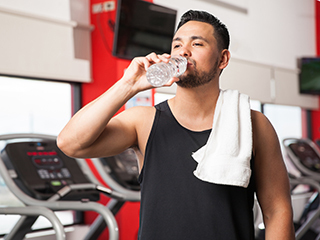 Participants were asked to recall all foods and drinks they consumed, and then researchers calculated the amount of plain water that each participant consumed as a percentage of daily dietary water intake from both foods and drinks. The average calorie intake for each participant was 2,157 calories, which included 125 calories from sugar-sweetened beverages and 432 calories from desserts, pastries, snack mixes and other foods that are not essential. The results of the study revealed that people who increased their consumption of plain water by one to three cups daily lowered total energy intake by 68-205 calories each day. They also consumed significantly less sodium, sugar and cholesterol. Obviously, drinking water is not a silver bullet for weight loss; factors like a healthy diet and exercise are also important. But if more water can reduce your intake of calories, sodium, sugar and cholesterol, our advice to you is: drink up! 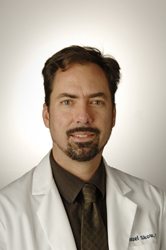 Manuel Skow, Physician Assistant, joined MPCP in 2007 and sees patients in the Glen Burnie office. He received his Master of Science/Physician Assistant degree from St. Francis University, and completed his Physician Assistant Preceptorships in Primary Care at the United States Naval Academy Brigade Clinic and Internal Medicine/Cardiology at the Walter Reed Army Medical Center.